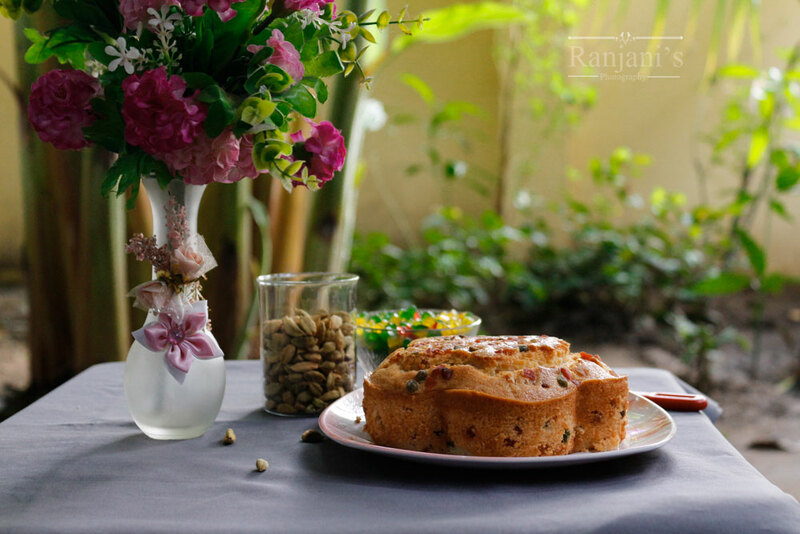 Cardamom Tutti frutti Cake – when you are in need of aroma other than vanilla bean in cakes you can try these cardamom flavour. It was so yumm in flavour and taste. Addition of curd gives perfect moistness too the cake. 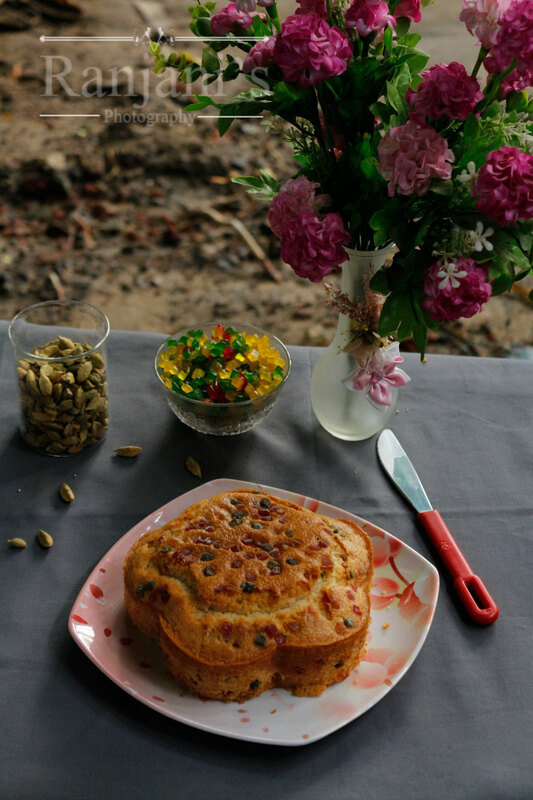 This eggless tutti frutti cake fills your palate undoubtedly . In a mixing bowl, add oil, and curd. Whisk together well. Add cardamom extract or powder and mix well. Add sugar,and whisk it thoroughly to incorporate well with curd and oil mixture. Add baking powder, baking soda and salt one by one and mix well. Now add the flour little by little and mix well.Make sure there is no lumps in the batter. Finally add some tutti frutti which is dusted with flour. Fill in a greased baking tray to ¾ th level. Top with some remaining tutti frutti. Gently tap the tray. Bake the cake at 180 degrees for 45 minutes. After 45 mins , check it with tooth prick or fork by inserting in the centre. If it comes out clean, your cake is done. If some batter sticks with it, go for another 10 mins. Tutti fruity cake seems tasty. The steps are greatly arranged with ingredients highlighted on the left side.